Vehicle storage has long been a common task for many fleet operators and owners of collector cars and seasonal recreational vehicles. Whether you are looking to store an exotic vehicle, a boat, snowmobile, or regular fleet vehicle, there are things you can do to ensure that your vehicle maintains its health and condition during storage. This one may seem obvious to some, but it is nonetheless a critical piece of advice. If you don’t have a garage or covered space, take advantage of using a car cover that provides water and UV protection. Car covers can often be had for a reasonable price and will go a long way to protecting the interior and exterior finish on your vehicle. Ideally, a battery should not lose charge while in storage. This can cause permanent wear on the battery. Batteries that are left connected to vehicles will discharge over time, especially in colder weather. Leave your battery on a trickle charger if you have one. Periodically starting and running the vehicle will also help maintain battery life and minimize wear. Leaving your vehicle in storage with a full tank of gas will help to prevent condensation accumulating in the fuel tank and lines. A full fuel tank will also help to keep internal seals lubricated. Fuel additives such as fuel stabilizer can help prevent fuel lines from gumming up and prevent oxidation within the fuel system. Debris such as bird and sap droppings can cause permanent damage to paint finishes. Ensuring that this and other dirt and debris are removed from paint work will help protect paint finish during storage. Applying a fresh coat of wax or sealant can also assist in protecting against UV rays and water stains. Don’t forget to give wheels and fenders a good scrub as well to help maintain their protective coatings. Leaving a vehicle with wheels in one spot motionless for a prolonged period can cause damage to the tires by creating flat spots. If you are planning to store your vehicle for a month or longer, consider removing the wheels and placing the vehicle on jacks. Make sure your tires are properly inflated before going into storage. Accidents and disasters can happen to a vehicle even when it is not in use! Removing insurance while a vehicle is in storage takes away nearly all protection in the event that something happens to your vehicle. Keep your precious vehicle protected! This may not be practical for everyone, but security features can go a long way to protecting your vehicle, and to providing evidence in the event of an accident, disaster or theft. 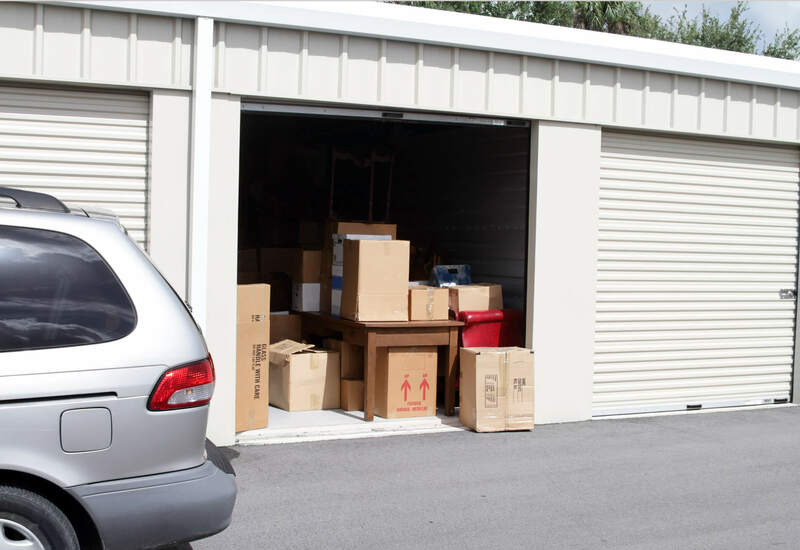 If you are seeking a storage site for your vehicle, make sure to ask about on-site security features that are available, and seek out sites that do provide security features. Safe and proper vehicle storage requires a bit of research, homework and elbow grease. Putting some work into your vehicle before putting it into storage can go a long way to ensuring it lives a happy and long life and makes it through the storage period in good health and condition.